Real Estate Website Design Hampton Roads | Here is another outstanding real estate website design by VISIONEFX. When professional small businesses require professional website design services, is crucial to present a polished, professional image. You’re online branding and all of the digital assets you use to communicate with your online audience must convey trust, confidence, experience and expertise. Whether your professional service is real estate, healthcare, finance or law we provide agency level website branding and SEO – Search Engine Optimization services to help you achieve you’re online goals. 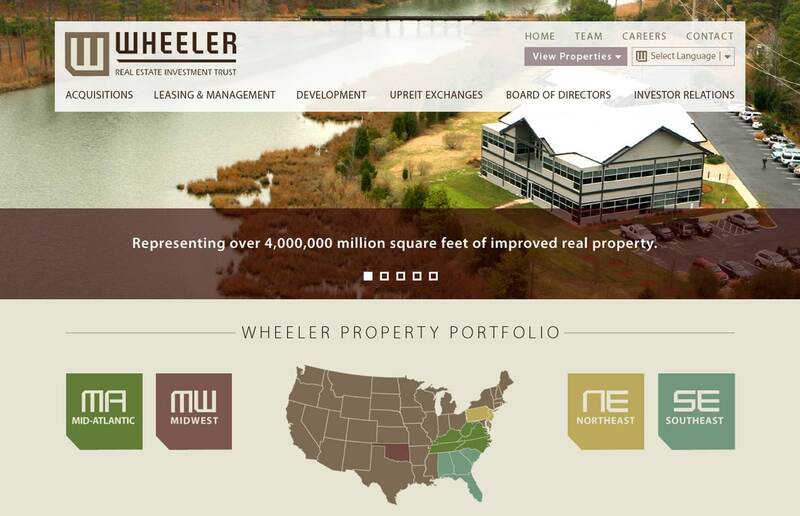 This recent web design real estate company project for Wheeler Real Estate Trust provides a competitive branded website presence in a highly competitive space. This new custom website design features custom location images, call-to-action property navigation and detailed property pages. See the ‘View Our Design Process‘ link below and browse all the creative concepts we develop before building you that perfect website design that is tailored to your business brand. Or maybe get inspiration for your own brand or marketing project. When searching ‘Real Estate Website Design Hampton Roads’ you’ve come to the right place! Call VISONEFX at (757) 619-6456 or email directly to info@visionefx.net. VISIONEFX has great Google Reviews from verified customers posted on ‘Google My Business pages’. We also invite you to read our client reviews. Feel free to reach our and contact our website customers. They will tell you our web site design and lightning fast web site maintenance services are second to none. When it comes to ‘Real Estate Website Design Hampton Roads’ – nobody does it better.